Luna is an exceptionally calm and easy going girl (we expect nothing less from our Katie's sister from another mister!) with a heart of gold. Luna is easy to train, easy to get along with and likes all people and animals. She has a therapy-like temperament. 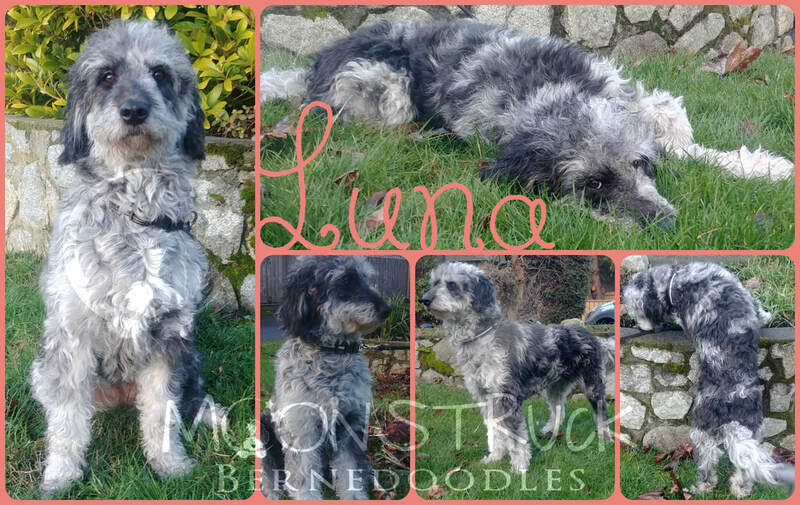 Luna lives in Sidney, BC with a wonderful, loving guardian home and has 2 very little children to love her. She's just the best dog!